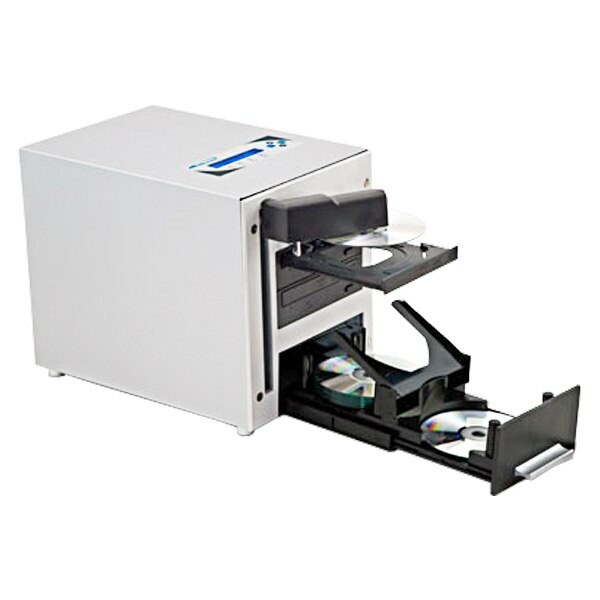 Automatically record up to 60 Blu-ray, DVD, or CD discs with this autoloading duplicator from AV Pro! Available with 1, 2, or 3 recording drives. 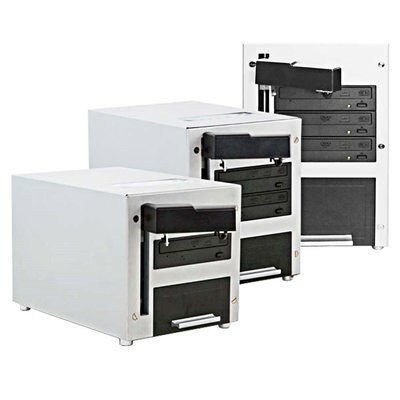 It's easy to make copies of Blu-ray discs as well as regular CD and DVD discs with the AV Pro "Cube" automated duplicators! 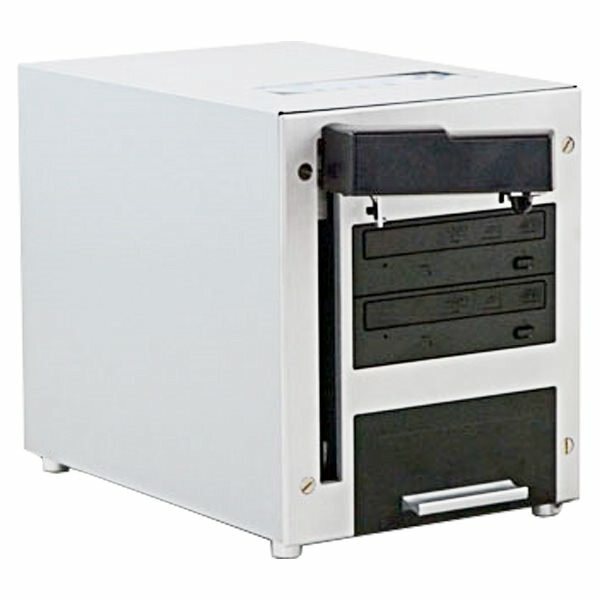 Because of the large data storage capacity of a Blu-ray disc, (25GB or 50GB), the duplication time can be quite a bit longer than with regular CD and DVD discs. That's where an autoloading duplicator really comes in handy! With the AV Pro Cube Blu-ray duplicators, you can set up your job and let the machine run on its own instead of manually loading discs after each pass. This gives you the freedom to get more done while the tower works. 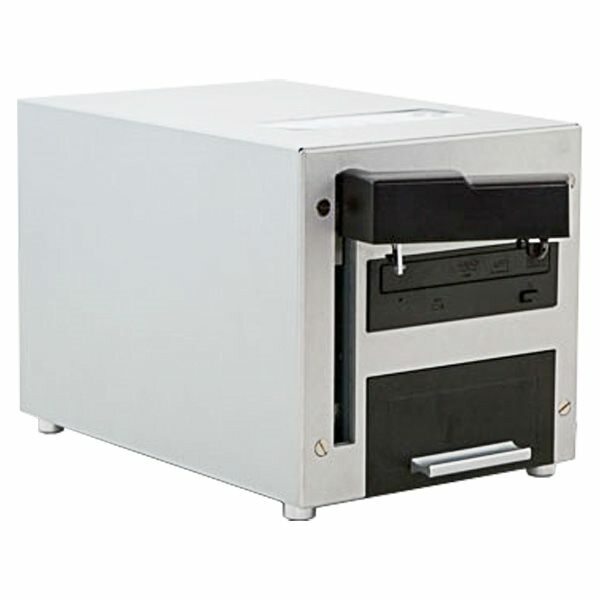 One and Two drive models have a 25-disc capacity, three-drive models have a 60-disc capacity. Account management (password protection) will authorize only specific users to operate the duplicator with their preferred settings. Able to assign numerous passwords for multiple users. The Cube™ autoloader features Multi-Master Recognition Technology (MMRT). Traditionally, autoloaders could only handle one duplication job at a time and additional manpower was needed to load a new duplication job (ex. Load new master disc, insert more blank discs, etc.) Now with this automatic master recognition technology, the Cube™ can handle multiple duplication jobs per run by itself. For example, you can make 2 copies of job A, 4 copies of job B, and 3 copies of job C. Traditional autoloaders can only process one job per run and need someone to load job B and job C to the autoloader. 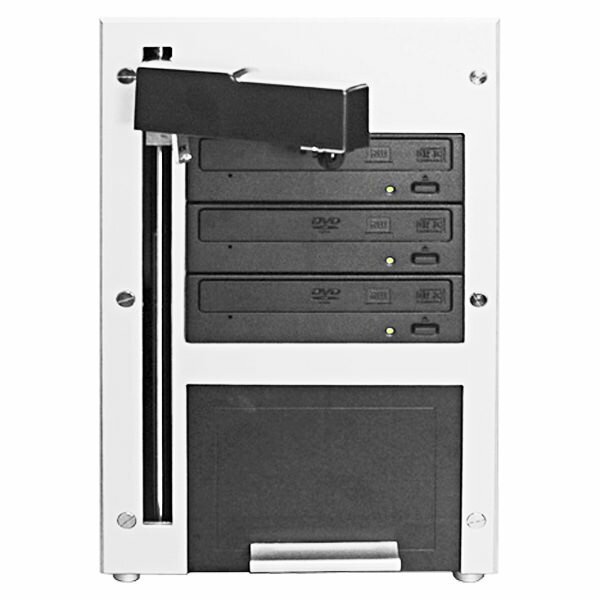 However, with the Cube™ featuring MMRT, you can run all three jobs sequentially, without the need to load and reload additional master discs. This process allows the user more time to dedicate to other matters rather than keeping a constant eye on the autoloader.